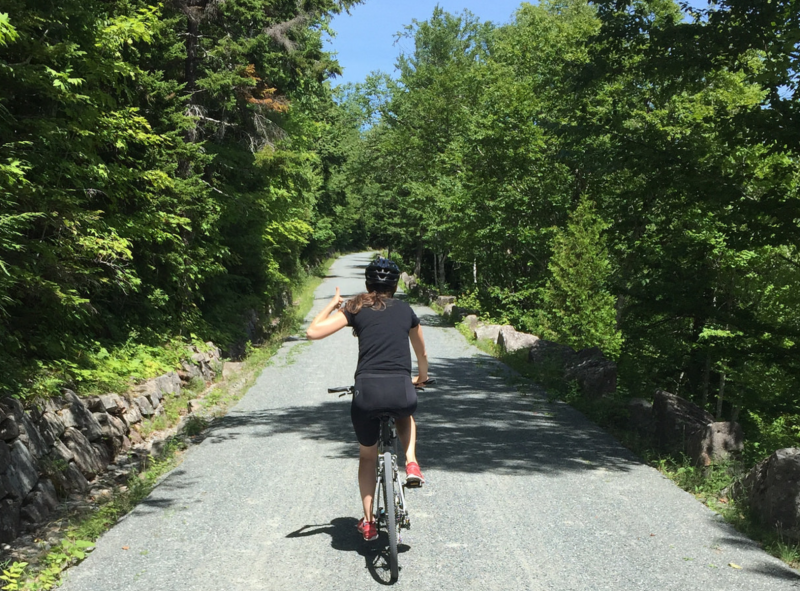 The Rockefellers wanted to create a car-free way to enjoy Mount Desert Island. Today, these dirt and gravel packed paths are used for biking, running and walking (though as the name implies, horses were once more prominent). The carriage roads sounded a lot like to me like the bridle path in Central Park, and for some reason, I assumed they would be largely without incline. 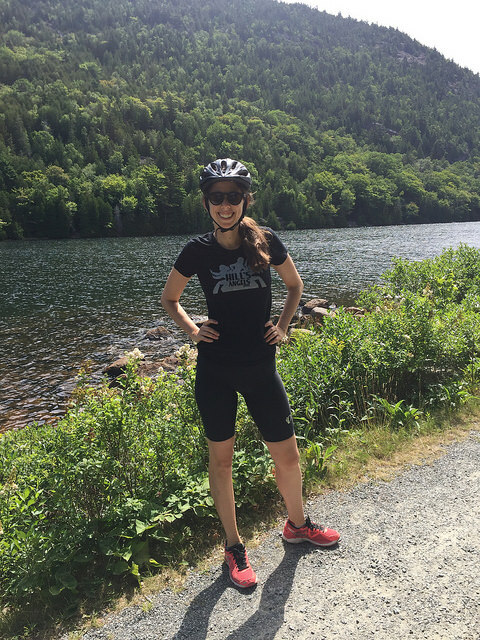 The day after our long run, I suggested we go for a bike ride along the carriage roads instead of a hike because I thought I’d get to rest my legs a bit. I didn’t say that precisely to Matt because I knew he would want to push himself/us to do a tougher/harder/more tiring activity. Maybe it shouldn’t go without saying but the premise of all of our trips seems to be meet our physical limits (example a, example b). 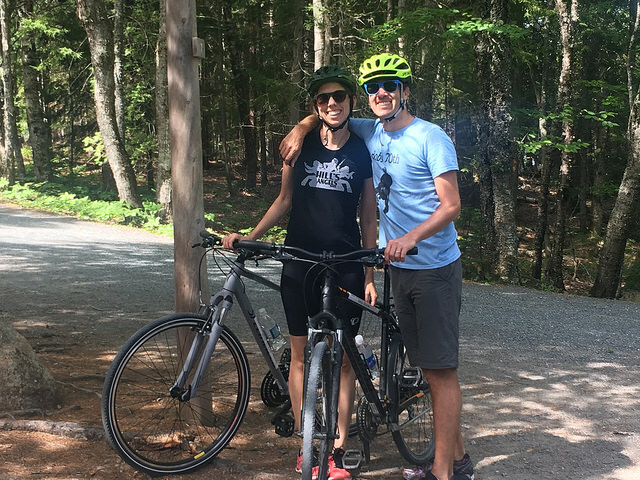 We rented bikes at the Bar Harbor Bike Shop right in town and about a mile from the carriage roads. When they asked what sort of bike we wanted, I started to say, “a cruiser” but Matt jumped in with “two hybrids” and I figured whatever, I can ignore the gears if I want. The bike ride to the park was 100% uphill. “Be cool,” I thought to myself, it’s just a little up and then smooth sailing when you get to the park. I was wrong. Dead wrong. We biked for 20 miles and there was nearly no straight-aways. The entire park is either up or down. There are some really long, steep and challenging inclines. I have no idea why I thought biking through a national park with loads of steep hikes would be flat. This was the hardest bike ride I’ve ever done, but also the most beautiful. Cardio intensity aside, if you’re emotionally and physically prepared, this is a perfect way to explore the park. There are no cars on the road so it’s just you, some other bikers and pedestrians. The carriage road map is smartly marked with numbered points that correspond to signs on the road. It’s very easy to make your way around the 45-miles of trails. We passed incredible vistas and I would totally recommend experiencing Acadia this way. Just know: it’s not going to be an easy toodle on your bike. 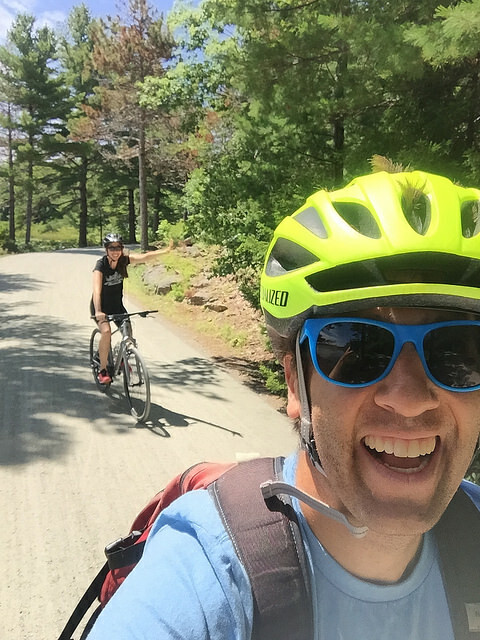 Have you ever biked the carriage roads? 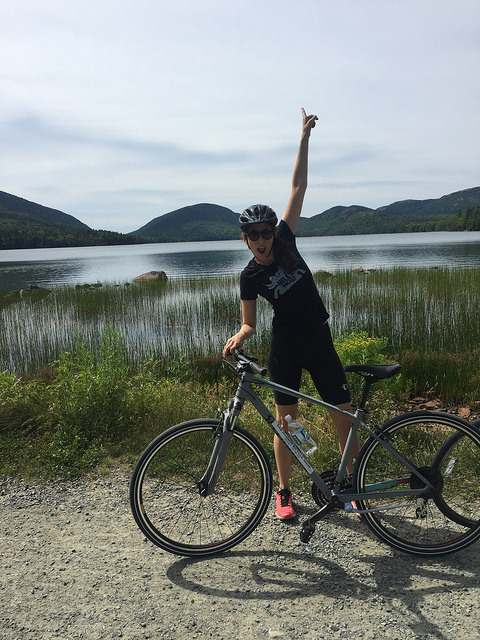 What’s your favorite bike ride? That sounds so tough! I’m not a bike rider at all so there’s no way I could have handled it! I bet all the views were well worth it though – great pictures! It was tough but the views make it totally worth it! I’m a new bike rider so each ride like this is a big challenge! !